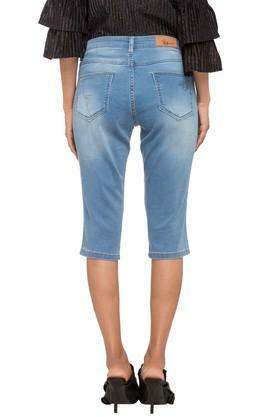 Simple yet stylish, this pair of capris from RS by Rocky Star will be the right pick for you. Tailored with a superior quality fabric, it is not only comfortable to wear but also easy to maintain. Furthermore, it has a fixed waistband that ensures a proper fit while the mild wash effect enhances the look. 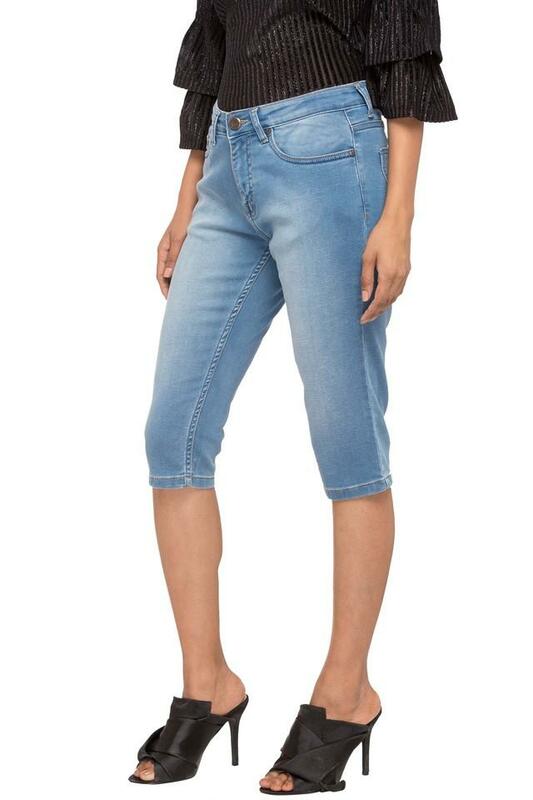 An ideal pick for a casual occasion, this pair of capris will look good with a wide range of tops. 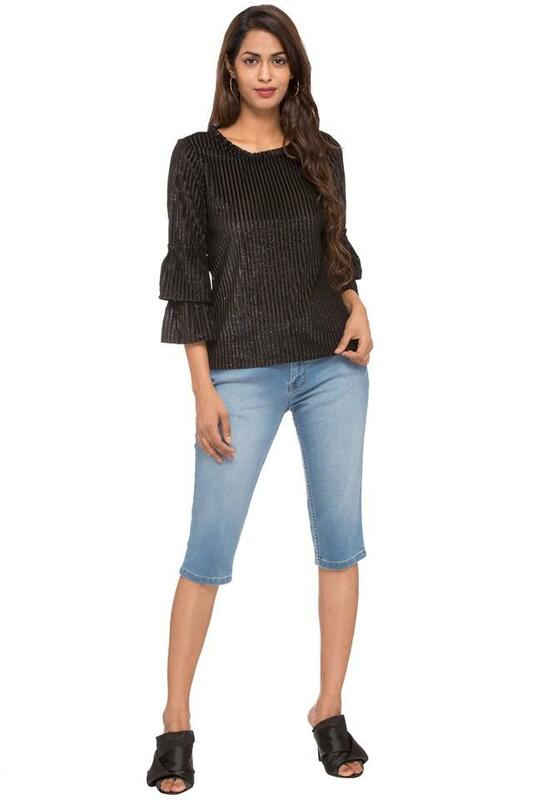 It is quite comfortable to wear, as it is crafted from a good quality fabric.